The Jetta Hybrid was one of the most expensive Jetta variants in VW's lineup, packaged exclusively in top-line SEL Premium trim. WASHINGTON -- Volkswagen of America is dropping the Jetta Hybrid for the 2017 model year, eliminating the lone hybrid in its U.S. lineup. A VW spokesman said the hybrid was a low-volume variant of VW’s top-selling nameplate, accounting for less than 1 percent of the compact sedan’s annual U.S. sales. The cancellation, disclosed by the company Thursday in a rundown of its 2017 model lineup changes, comes amid a broader slump in electrified vehicle demand industrywide. Low gasoline prices and improved fuel economy across the industry, in addition to higher prices for many alternative-fueled vehicles, have made hybrids and EVs a tough sell. Car sales remain weak as well as U.S. consumers continue shifting to crossovers and SUVs. The hybrid was one of the most expensive Jetta variants in VW’s lineup, packaged exclusively in top-line SEL Premium trim. 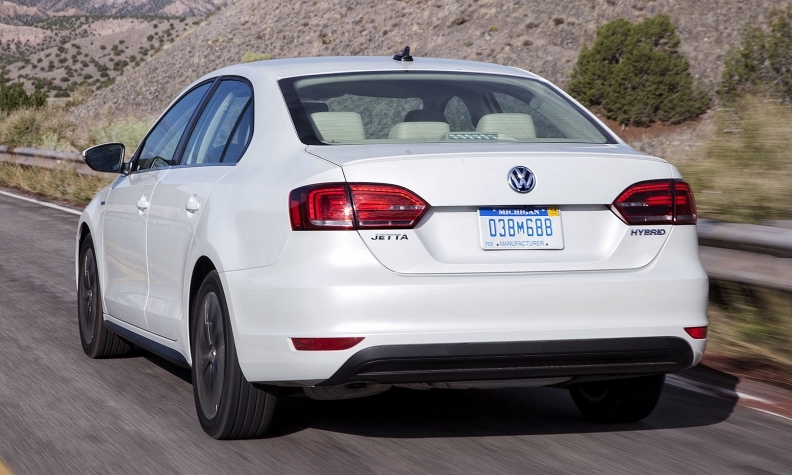 The Jetta Hybrid’s sticker price was $31,940, compared with the nameplate’s $18,500 base price. Both prices include shipping. U.S. sales of hybrid and plug-in hybrid vehicles fell 21 percent through the first five months of the year. Battery-electric vehicle sales slipped 22 percent in the same period. VW sold 125,205 vehicles through May in the U.S., down 13 percent from the same period last year.